Tacori Silver Gemstone Bracelet 7.5"
City Lights Sterling Silver Gemstone Bracelet 7.5"
Colorful shapes rule on this Tacori bracelet from the City Lights collection. 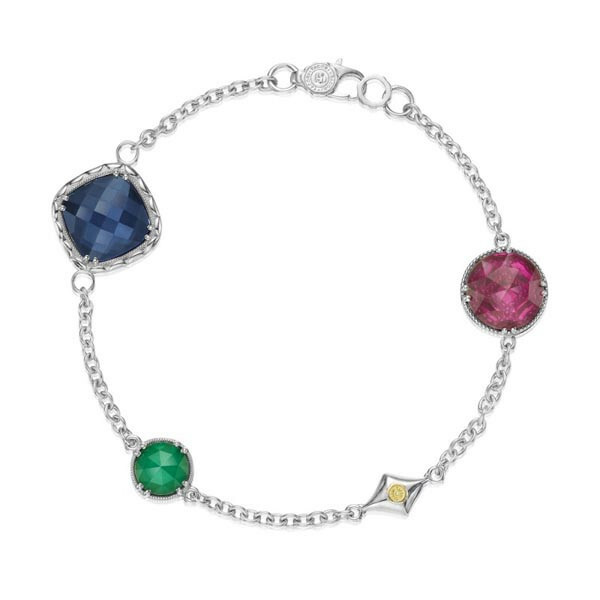 A sterling silver link chain features a medley of gemstones that give the bracelet vivid color, and each station has its own unique milgrain detailing around the stone. Mix and match Tacori pieces from this fabulous collection to jazz up your look stylishly.